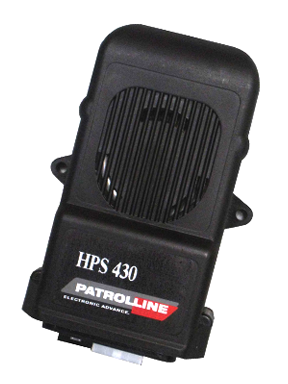 HPS 430 is an evolution in the "car alarms motorcycle sector"; In fact, this product does not require a radio controls but interacts with the key and the "immobilizer" system of the vehicle. It is a fully automatic programmable device and extensively, so it can adapt to any user' s needs. The installation of this article is simplified by the use of "PIN-to-PIN wirings": special cabling made with the same connectors of the motorcycle. The inclusion of the alarm system is switched off the motorcycle framework. Of course you can also avoid the insertion if it is considered appropriate (Ex. Refueling). Once activated the alarm system, the user will have up to 40 seconds to perform routine maneuvers such as, for example, put the bike on the stand or place objects in the appropriate compartments (beneath the seat, trunk etc); at the end of the neutral time the device will change to the state of alert, ready to run.